Floral print is going to be a major trend this fall season. 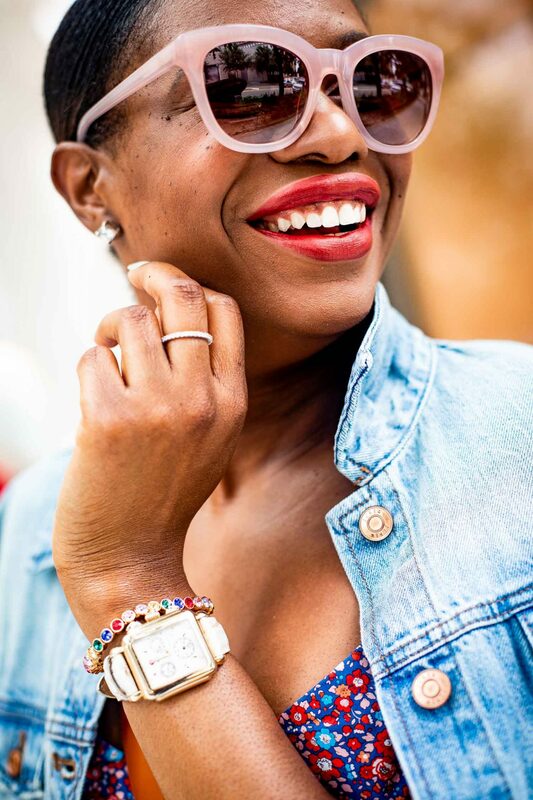 That is why I partnered with J.Crew to create the perfect floral fall outfit of the day. With fall and New York Fashion Week right around the corner, it’s time to start shopping for the season ahead. 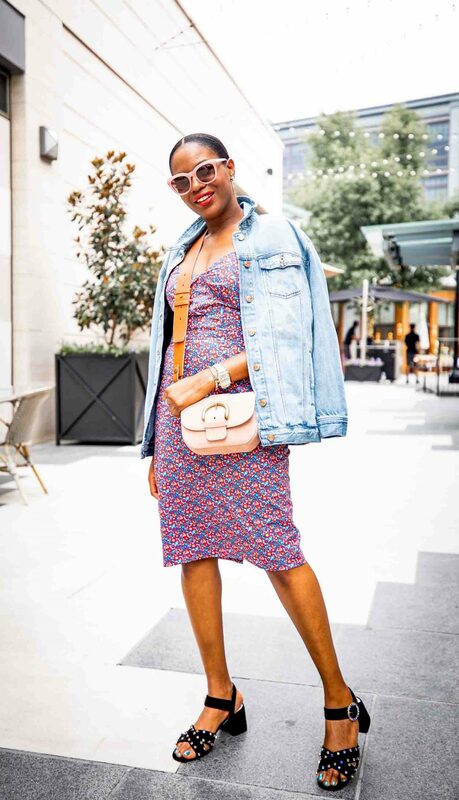 I know it doesn’t feel like fall is anywhere insight with 90° temperatures in Atlanta and most of the country, however J .Crew debuted tons of floral print items including collaborations with Liberty and cult-favorite British wallpaper designer Abigail Borg. Not only are these prints amazing, they transition seamlessly from summer to fall. Today’s outfit of the day, focuses on this amazing floral spaghetti strap dress. This dress works in extremely warm weather, however it also works in cool weather. 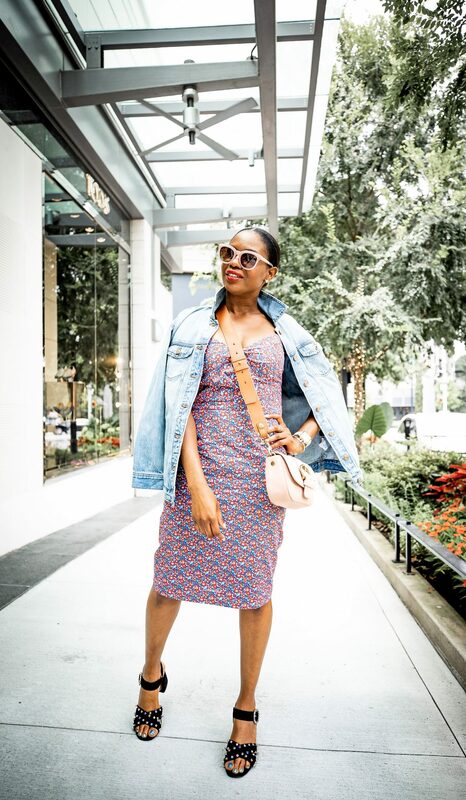 By simply layering the dress with a denim jacket, it becomes the perfect outfit for cool weather. You can also layer this look with the T-shirt to give it a totally different look. By styling this outfit with the T-shirt, you create more of a casual-cool vibe. I completed this outfit of the day by adding a little bling to my look in the form of my shoes and jewelry. 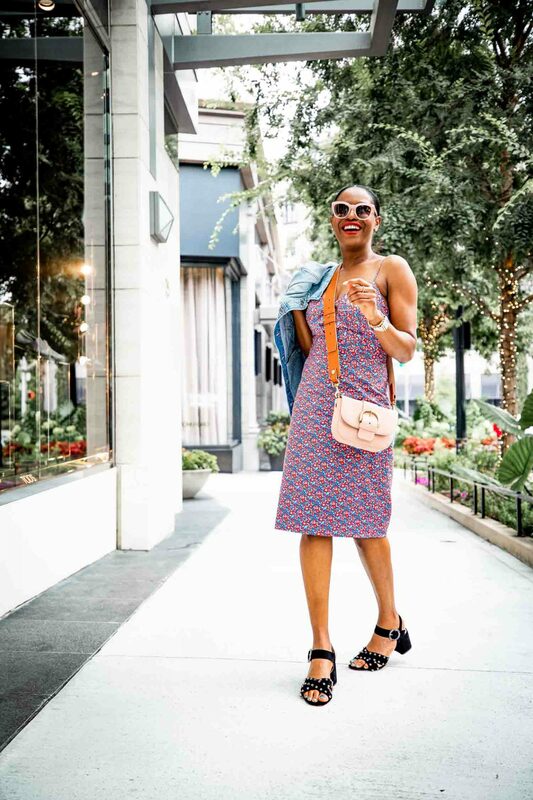 A fun pair of sunglasses, and a blush bag also complement the pink floral pattern located in the dress. 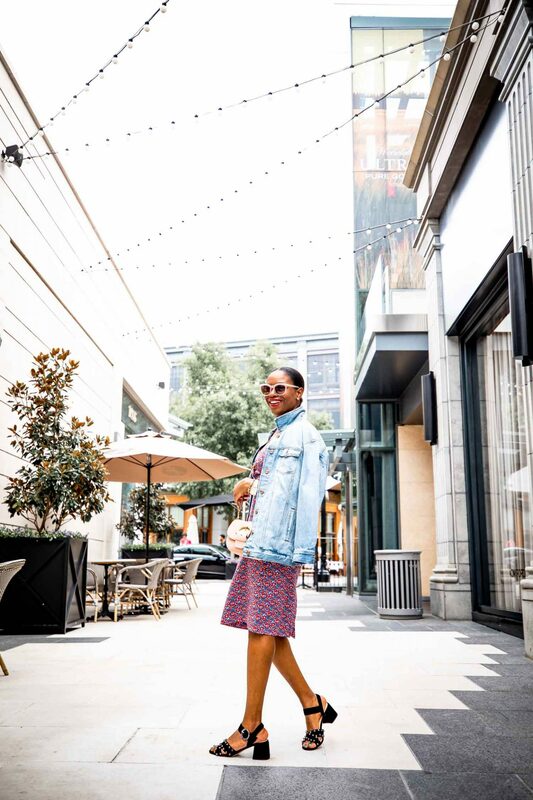 Shop for more floral print pieces from J.Crew here.